Big brands are taking interest, but is Snapchat ready for its closeup? There was a time when advertisers were afraid of Snapchat. But in early 2016, the once-naughty app is snapping up mainstream advertisers looking to get on one of the hottest digital platforms. Case in point: In November, Procter & Gamble’s CoverGirl used Snapchat for a geo-targeting campaign with retailer Alta. Consumers who visited most of the retailer’s 868 locations could put a branded filter over their post that included a callout to CoverGirl. Coca-Cola has also run advertising on Snapchat in recent months, joining pioneers on the platform like Taco Bell, which joined Snapchat in early 2013. Another P&G brand, Playtex, ran its first Snapchat campaign in the fourth quarter. "We have multiple advertisers that are interested in Snapchat," says Max Kalehoff, CMO of SocialCode, a digital advertising firm that works with Heineken, Macy’s and Visa, among others. Kalehoff says that advertisers (he declined to say which) see Snapchat as integral for "driving brand objectives." Others echo that sentiment. "We’ve been doing this for a year now and mainstream brands are really starting to get involved," said Nick Cicero, founder and CEO of Delmondo, an agency that links brands with Snapchat stars. "It’s really just becoming more commonplace." "I would say there’s plenty of curiosity," says Jeanne Bright, vice president and director of social at Digitas. "Most advertisers I’ve worked with have used it as a test as a once- or twice-time thing." But like others, Bright says that Snapchat’s lack of metrics and targeting functionality is a hindrance to further adoption. And unlike Facebook and Twitter, Snapchat doesn’t deal with intermediary agencies to help craft campaigns, which means you have to deal directly with Snapchat’s sales team. This year, many expect Snapchat to address those deficits. 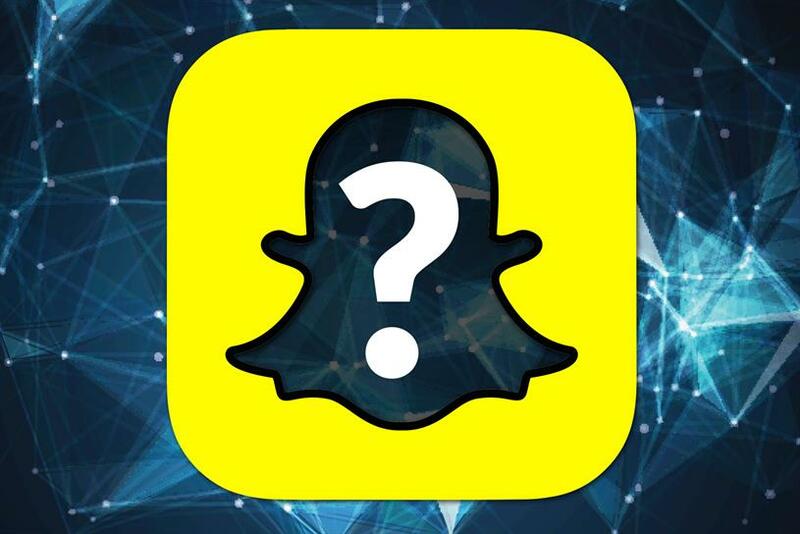 A rumor last week that Snapchat plans to offer its API to agencies and advertisers might be an indication that the platform plans to go bigger in 2016. Snapchat has not addressed the report and could not be reached for comment for this story. In the early days, Snapchat and its quickly dissolving "snaps" were synonymous with sexting, and most advertisers avoided it. In 2012, people were sharing as many photos per day on Snapchat as they were on Instagram, but it wasn’t until January 2013 that the ice cream brand 16Handles tried a Snapchat promotion. Now that it has successfully distanced itself from the sexting stigma, Snapchat is too big to ignore. The company hasn’t released overall stats on its user base recently, but it is believed to have more than 100 million monthly active users. The company also claimed to serve up more than 6 billion daily video views in November versus 8 billion a day for Facebook. In addition, while only 16% of Facebook users are between 18 and 24 according to comScore, on Snapchat, the figure is 45%, making a key vehicle for reaching fickle younger consumers. Make that very young consumers. "The thing about Snapchat is it drives a lot of 13-18 year-olds," says Bright, adding that in a recent campaign, 30% of the impressions served hit that demo. Bright says she sees that as a drawback since many advertisers don’t feel comfortable targeting consumers that young. As for the ad units themselves, Justin Rezvani, CEO of theAmplify, another agency that links up brands with Snapchat stars, says that the ephemerality — the ads and snaps last just 10 seconds — paradoxically makes the ads more memorable. "What you’re about to see you’re never going to see again," he says. "So the attention you have against that piece of content is that much more valuable." Such claims aside, some balk that Snapchat’s lack of metrics is a major limitation. For instance, most often advertisers don’t really know the age of consumers they target on Snapchat. That’s because when Snapchat started it didn’t ask people their age. "So they don’t know the age of a big chunk of their audience," says Bright. As a result, most ad buys target everyone on the network. One exception is Snapchat Discover, the company’s publishing platform which features BuzzFeed, Vice and Comedy Central, among others. On Discover, advertisers can buy "18-plus" or "21-plus," but doing so significantly decreases the amount of media available, she says. In addition to lacking targeting data, Snapchat also is weak on attribution. The company works with Millward Brown to provide attitudinal studies before and after the ads are shown to discern a brand lift. Connecting actual sales is much trickier. "The issue we see with Snapchat at the moment is there’s no way to click through," says Bright. "The fact that you can’t click through and see an actual business result makes people feel like it’s not an immediate buy again." Despite its size, Snapchat does not yet have a layer of partners that sell ads on its behalf the way Facebook and Twitter do. If you want to buy ads on Snapchat, you have to go directly to Snapchat and deal with the company’s sales team. Last August, Snapchat had around 330 employees versus more than 500 for Pinterest and 12,000 for Facebook. That’s one reason that many are excited about a possible API. Offering an API would let brands automate buys and might let agencies that already offer buys on Facebook and Twitter add Snapchat to their list. "We’re seeing huge adoption of programmatic across the board," says Cathy Boyle, an analyst with eMarketer. "It allows [marketers] to be more automated." Rezvani says another advantage of an API is that it would help automate analytics "so we don’t have to do manual labor." When Snapchat first introduced ads in early 2015, it was asking $750,000 a day, a price that many found exorbitant. Since then, the company has come way down on pricing, and those in the industry say the starting price is closer to $50,000. With more reasonable pricing in place, demand isn’t a problem. Boyle expects Snapchat to work out the other issues in 2016. Pressure from investors will likely play a role. In November, investor Fidelity marked down its stake in Snapchat by 25% in the third quarter, in part because it hasn’t figured out how to make enough money to justify its $16 billion valuation. Still, Bright is not holding her breath. "I assume they will address [their measurement issues] sometime this year," she says. "But I don’t think it’s going to happen soon." Digital video is exploding, but which platform will emerge the leader?